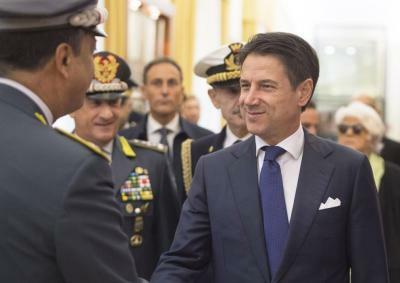 ROME – The government’s decision on Wednesday to remove the heads of Italy’s security service bodies in favour of two former generals of the finance police has drawn a degree of controversy, Il Fatto Quotidiano reports. Alessandro Pansa and Alberto Manenti have been ousted from their positions in the DIS and AISE, respectively, a move that was to be expected given the advent of a new government. However, the government’s appointment of their replacements has not been without debate. In the past, these positions have generally been filled by personnel with military experience. However, as Il Fatto reports, the League-M5S government have opted to nominate two former high-ranking finance police officials in Gennaro Vecchione and Luciano Carta. The change of tact seems to suggest a desire to place emphasis on the economic and technological aspects of DIS and AISE from the government. Despite Salvini’s urgency, M5S leader Luigi di Maio and Prime Minister Giuseppe Conte delayed the appointments for a number of months, eventually deciding to proceed with change once the Libya conference held in mid-November had come to an end, given that the bodies in question, particularly AISE, were heavily involved in the organisation of the event.